YouTube stars urge aspiring video-makers to have a vision for their channel and not to worry so much about having fancy equipment. YouTube launched its first traditional advertising campaign back in April in an effort to promote its online stars in the offline world. 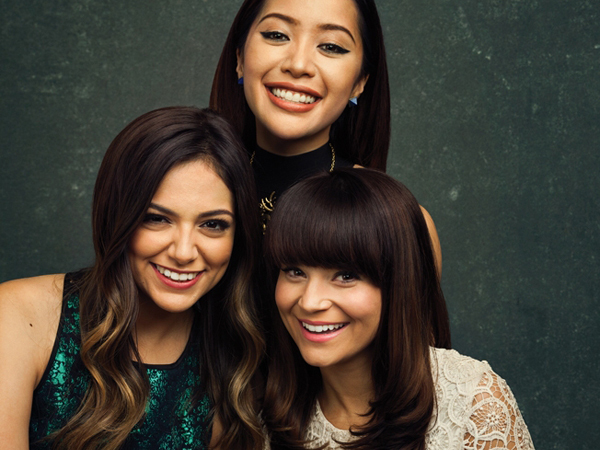 The three women featured in the first ads, Bethany Mota, Michelle Phan and Rosanna Pansino, talked to Adweek about how they got their start, new opportunities post-ad campaign and how they feel about Google’s video-sharing platform. You all seem adamant about never leaving YouTube. What is it about being a YouTube creator that you love? Phan: You’re in control of how people perceive and see you. I can’t say the same for traditional media because you have other people who are editing you–producers and other people who have the final say. Your YouTube channel is your show. I think it’s a wonderful platform for anyone who wants to have stronger creative control over their content, their message, their vision and their branding. Mota: There’s no audition process. Anyone can make a YouTube channel. We’re our own producers, our own directors. We can come up with the ideas and make it real life. Phan: Before you start, you have to have a vision [or] you’re just going to burn out. Ask yourself why you want to start your YouTube channel. You see these hate comments, and you get so much despair from it. Why you are doing it is going to help drive you to continue. Pansino: Even if your equipment isn’t the best or you’re not the best editor, if you’re passionate about it, I think that viewers will see that and respond to that. Mota: When you upload a video, don’t just walk away from the computer. Respond to comments and tweets, and use all social media. That’s what’s most important about YouTube. Take advantage of letting your audience know who you are. For the rest of the interview, head over to Adweek.